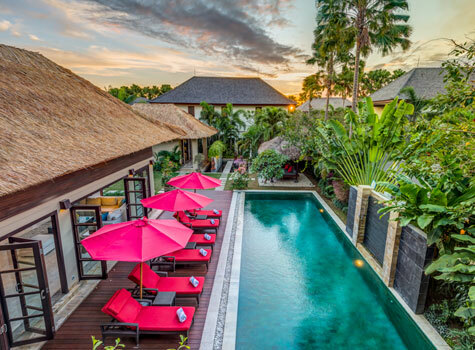 Villa Nilaya – The Residence Seminyak is an elegantly styled large 5 bedroom villa located in the absolute heart of Seminyak. An easy walk from well-known Seminyak restaurants, boutique shopping and lively nightlife, yet removed far enough for guests to enjoy peace and serenity. 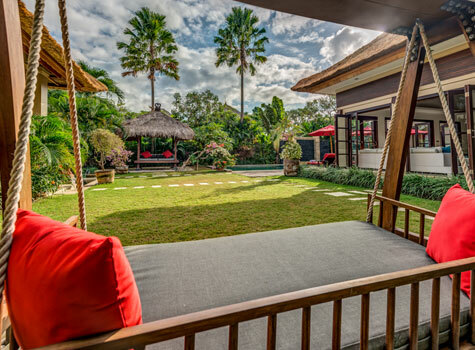 Set on over 800 square meters of tropical landscaped gardens this two level villa features traditional alang-alang thatched roofing and superbly decorated interiors. Effortlessly combining all the comforts of modern living with traditional Balinese concepts, this villa is the ideal place to relax and unwind. A large open plan lounge and dining area adjoins a Western style kitchen. Bi-fold timber doors open out onto sun-filled entertaining deck and a generous sized (15Mx5M) pool. 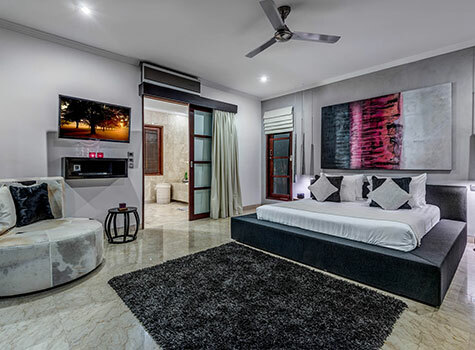 Four spacious en-suite bedrooms each with air conditioning, flat screen TV’s and DVD players are contained within the main villa. Separated in a pavilion away from the main villa is another king size en-suite bedroom also featuring a flat screen TV and DVD player. 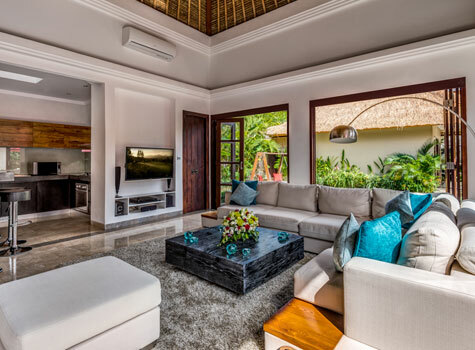 With the ability to easily accommodate up to 10 guests in comfort, Nilaya – The Residence Seminyak is the perfect choice for large families, or several couples looking to share accommodations but still wishing to maintain their personal space.